Delivering great hotel service never goes out of style. Yet, how it’s delivered and the emphasis on what is important changes and evolves. 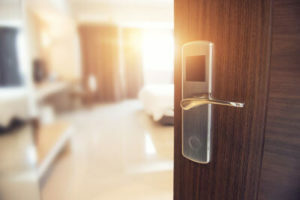 We are at an exciting cross-road in the hospitality industry where the expectations of service are changing and hotels need to provide a wide gamut of service styles. The challenge with varying service expectations is that it’s very difficult to optimize them for a wide range of guest preferences. In part, this is why new hotel brands have proliferated. How can you provide efficient service without alienating guests who want things to slow down and want a personal touch? How can you provide a highly personal touch but not frustrate guests who just want to get on with their stay? It wasn’t so long ago that hotels implemented technology to allow guests to bypass the front desk at check-in. This is a choice offered at hotels – and there are still people at the front desk waiting to help you. In an article entitled Friend, Not Foe: Why Hospitality Should Embrace Automation and AI it describes IBM Watson’s “Ivy” which handles 90% of all real-time requests from guests. Mobile concierge services have proliferated and are used in lieu of the face-to-face conversation with the aforementioned named assistant typically stationed in the hotel lobby. Some might say technology is cold and impersonal and others might say it’s convenient and efficient. The reality is both can be equally true for different people. The question isn’t so much whether technology represents “good” service or “bad“ service, but rather how can you apply it at the right time in the right situation with the right guest and leverage it to help your staff provide even higher service levels – based on the guest’s preferences. The best technology allows guests to tailor their experience. Technology actually enables the hotel staff to provide greater levels of service since their time is available. One principle at work with the TUG mobile robot is to free up people to do what they do best – have personal, human interaction. 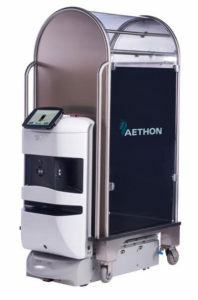 In hotels, the TUG mobile robots can deliver luggage and meals to rooms where it becomes part of the efficient guest experience. It optimizes efficiency and privacy and becomes a perfect experience for the guest who values those service attributes. Yet, it frees up the staff to provide greater hands-on service to guests who want the human touch. It breaks the trade-off and allows hotels to optimize the guest experience based on their preference.